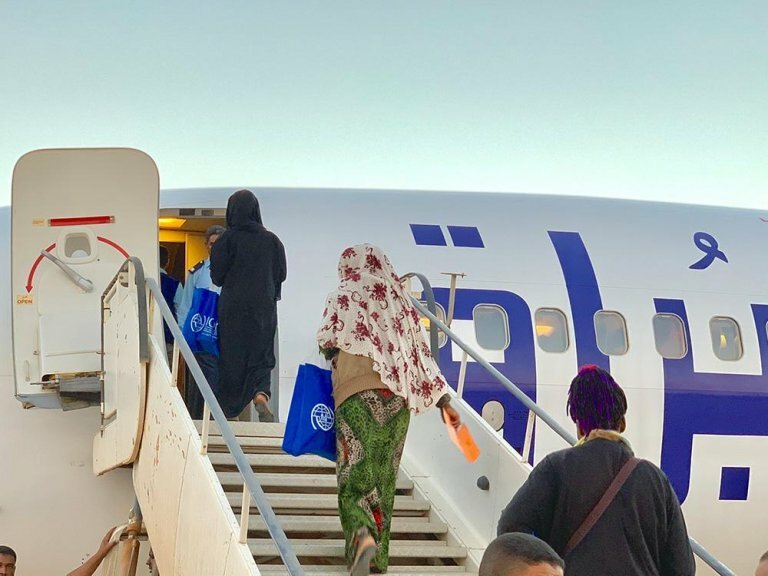 Starting on November 8, after a suspension that lasted about a year and a half, the UN agency for migration IOM resumed its voluntary humanitarian return program (VHR) in the city of Sebha, in the south of Libya. VHR provides support to migrants in need who wish to go back to their home country. Over the past few months, IOM has extended its action to the south of the North African country through multiple field missions to make the operation possible. A charter flight on November 8 landed in Lagos, Nigeria, after IOM's outreach activities with local authorities and Nigerian communities in the south. In close coordination with the Nigerian embassy in Tripoli, the organization helped provide online consular support which enabled the embassy to issue travel documents. IOM VHR operations assistant, Mohamed Hmouzi said: ''We have been working intensively in the South to make sure that migrants living in urban settings or detention centers, who wish to return home safely, can receive our support''. Transportation by land for migrants from Brak Al-Shati and Sebha, areas situated respectively 80 and 30 km from the international airport of Tamanhent, was ensured with local authorities. Migrants were also provided with food and other items. IOM gave protection screenings for vulnerable migrants and medical screening prior to their departure, the organization said. The charter took 120 migrants (75 men, 30 women, 6 children and 9 infants) to Lagos. IOM said it will be working closely with local authorities to ensure they reach all stranded migrants in the south who are interested in VHR assistance. So far in 2018, IOM has provided voluntary humanitarian return assistance to a total of 14,622 migrants in Libya, including 3,503 Nigerian migrants. Nigeria is the top country of return from Libya, followed by Mali and Niger.IOM will continue monitoring and assessing the needs of stranded migrants in southern Libya for the provision of humanitarian assistance, VHR registration, medical care, as well as other pressing needs.